LinkedIn Lead Extractor extracts data from LinkedIn. This tool can captures contact information such as name, email, business name, address, phone number, websites, messenger ids, skill, country, profile link and other important information from LinkedIn. Tired of Copying LinkedIn Leads Into Excel Spreadsheets? If yes "LinkedIn Lead Extractor" is the right choice saving your valuable time and money. LinkedIn is the best source of contact information of professionals worldwide with 120 million users and extensive targeting capabilities to allure advertisers. You can approach Physicians to freshly baked food providers listed on LinkedIn through our LinkedIn Lead Extractor. If your product is particularly useful for community e.g selling surgical apparatus to hospitals you can get contact information of the Administrators rightly divided up by category on LinkedIn. Simple searches in your field will reveal thousands of experts, service providers and potential clients. LinkedIn in Lead Extractor will help you to extract that data within minutes. 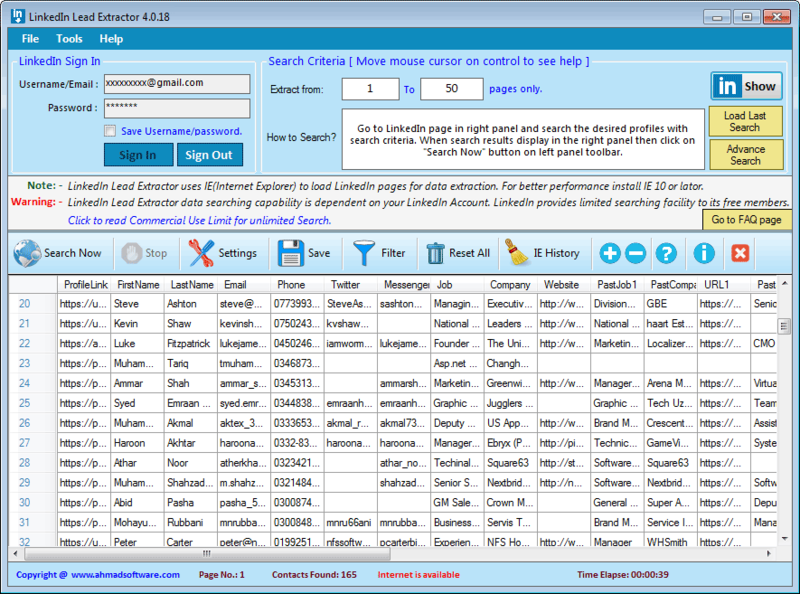 LinkedIn Lead Extractor is a desktop application which allows you to extract data from LinkedIn at an exceptionally fast rate. It automatically extracts available business name, email address, phone number, Yahoo messenger id, Skype Id, Google Talk ID, etc. You can export your data in .xlsx, .csv,(opens in excel) .txt files. LinkedIn Lead Extractor can extract your targeted customer's LinkedIn contact information and complete profile. Just open your required profiles page in LinkedIn and LLE will start extraction from the same page as opened in LinkedIn. LinkedIn Lead Extractor has the ability to save the history of viewed and saved profiles so that already saved profile should not view again. LinkedIn Lead Extractor support Unicode character-set. You can save fetched search results in Unicode format. LinkedIn Lead Extractor automatically pauses/resumes on internet failure during processing. Why Use LinkedIn Lead Extractor? 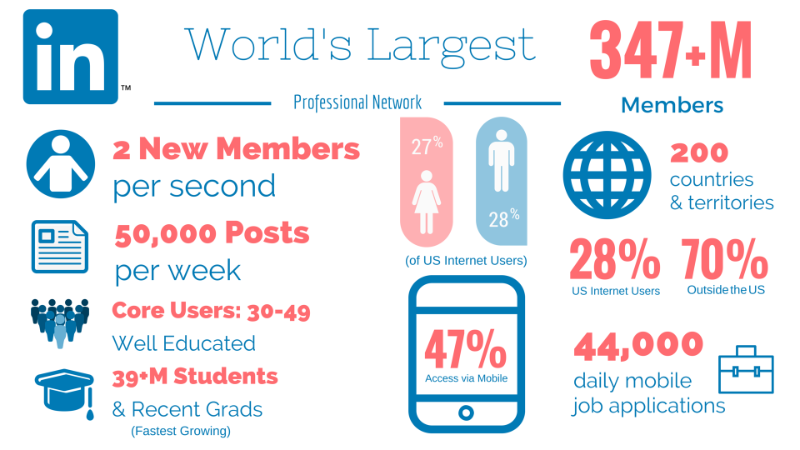 LinkedIn has been creating buzz in social media circles for many years now, however many businesses are yet to fully capitalize on this remarkable tool for their online marketing and promotional needs. LinkedIn Lead Extractor is the best tool to get contact information from LinkedIn according to your business needs. Comments: Hi, This is really a working software. Comments: Amazing tool. Could not have found a better one.